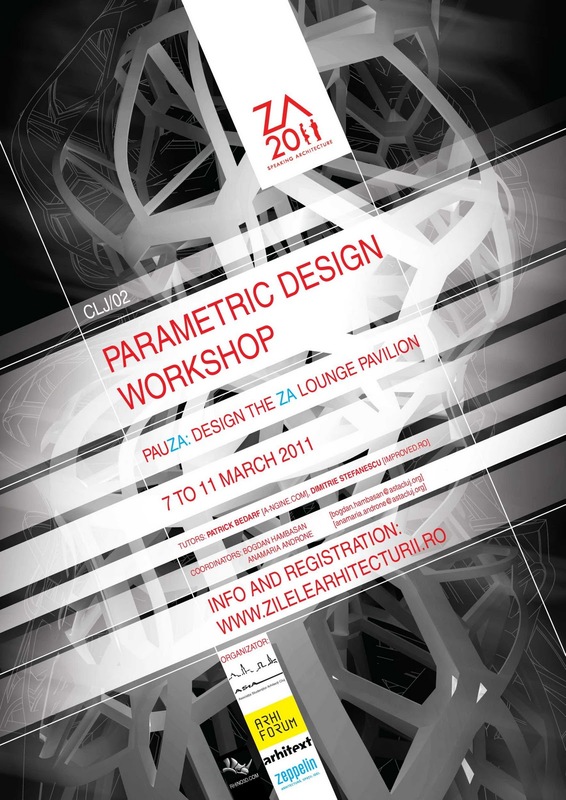 ASTA Cluj organized a parametric design workshop with the aim of designing the lounge pavilion of the ZA event in Cluj, Romania. Tutors are Dimitrie Stefanescu and Patrick Bedarf. The workshop will take place on March 7-13.